Dr. Robert Atlas is the former Chief Meteorologist at NASA’s Goddard Space Flight Center (GSFC), and is currently the Director of the National Oceanic and Atmospheric Administration’s (NOAA) Atlantic Oceanographic and Meteorological Laboratory in Miami, Fla. Some of the areas he focuses his current research on include the prediction, movement and strengthening of hurricanes. He has worked with both satellite data and computer models as a means to study these hurricane behaviors. 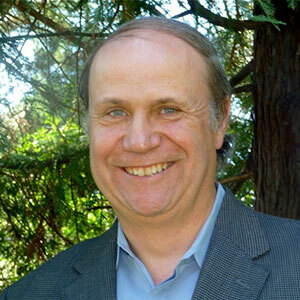 Dr. Atlas received his Ph.D. in Meteorology and Oceanography in 1976 from New York University. Prior to receiving the doctorate, he was a weather forecaster in the U.S. Air Force where he maintained greater than 95 percent forecast accuracy. From 1976 to 1978, Dr. Atlas was a National Research Council Research Associate at NASA’s Goddard Institute for Space Studies, New York, an Assistant Professor of Atmospheric and Oceanic Science for SUNY and Chief Consulting Meteorologist for the ABC television network. In 1978, Dr. Atlas joined NASA as a research scientist. He served as head of the NASA Data Assimilation Office from 1998-2003, and as Chief meteorologist at NASA GSFC from 2003-2005. Dr. Atlas has performed research to assess and improve the impact of satellite temperature sounding and surface wind data since 1973. He was a key member of the team that first demonstrated the significant impact of quantitative satellite data on numerical weather prediction and is the world’s leading expert on Observing System Simulation Experiments, a technology that enables scientists to determine the quantitative value of new observing systems before funds are allocated for their development. He served as a member of the Satellite Surface Stress Working Group, the NASA Scatterometer (NSCAT) Science Team, the ERS Science Team, the SeaWinds Satellite Team and the Working Group for Space-based Laser Winds, the Scientific Steering Group for GEWEX, Chairman of the U.S. World Ocean Circulation Experiment (WOCE) Advisory Group for model-based air-sea fluxes, and the Council of the American Meteorological Society. He is currently a member of the Science Teams for two NASA space missions. From 1974-1976, he developed a global upper-ocean model and studied oceanic response to atmospheric wind forcing as well as large-scale atmospheric response to sea surface temperature (SST) anomalies (unusual events). In more recent years, his research concentrated on the role of how the air and sea interacts in the development of cyclones, the role of soil moisture and unusual SST events in the initiation, maintenance and decay of prolonged heat waves and drought, and most recently on the modeling and prediction of hurricane formation, movement and intensification. The urban environment is becoming increasingly more connected and complex. In the coming decades, we will be surrounded by billions of sensors, devices and machines, the Internet of Things (IoT). As the world becomes more connected, we will become dependent on machines and simulations to make decisions on our behalf. When simulations use data from sensors, devices and machines (i.e., things) to make decisions, they need to learn how to trust that data as well as the things (and simulations) they are interacting with. As simulations become more commonplace in IoT and smart city applications, it is essential that decision makers are able to trust the simulations making decisions on their behalf. This talk is focused on simulation and model trust, including the fundamental principles concerning how trust is established, maintained and used in simulations and a theory behind their operations. 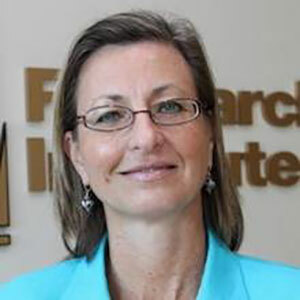 Dr. Margaret L. Loper, is a principal research scientist at Georgia Tech Research Institute. She is the chief scientist of the Information & Communications Laboratory, Director – Trust at GT Institute for Information Security & Privacy (IISP) and the Chief Technology Officer of the Center for the Development and Application of Internet of Things Technologies (CDAIT). Her current research is in the area of computational trust algorithms for machine-to-machine communications. Loper also teaches simulation courses for both academic and professional education, and she is involved in projects that bring modeling and simulation into K-12 education. Dr. Loper has been involved in modeling and simulation for more than 30 years, specifically focused on parallel and distributed systems. Loper has led projects on compliance testing and federation testing, as well as the interoperability of live, virtual and constructive systems. Previous work in casual ordering focused on improving performance of synchronization algorithms by exploiting temporal uncertainty of simulation events. Past projects at Georgia Tech included the Department of Defense High-Level Architecture Federate Testing project, which consisted of the process, tools, and procedures used for HLA compliance and the HLA Federation Verification Tool used to assist federation developers during federation integration. Other projects included the M&S WebBook, Distributed Interactive Simulation Standards Development, and DIS compliance test procedures and tools. Dr. Loper earned a Doctorate in Computer Science from Georgia Tech, a Master’s in Computer Engineering from the University of Central Florida, and a Bachelor of Science in Electrical Engineering from Clemson University. Women in Technology named Loper the 2010 Woman of the Year in Technology in the Medium Business category. 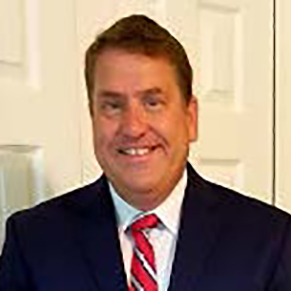 Dr. Mark W. Lukens is the Senior Operations Research Analyst for Cyber Analytics within the Office of the Undersecretary of Defense, Acquisition and Logistics. He has developed and is the wargame director for the Cyber Resiliency Wargame series. He is also the lead for the Cyber Mission Model and the Economics of Cyberspace Operations projects for the Department of Defense. Dr. Lukens received his PhD in Computational Science from George Mason University in 2004. He also holds three Masters Degrees, two from Georgia Tech in Operations Research and in Industrial Engineering, and one from the U.S. Army War College (Strategic Studies). 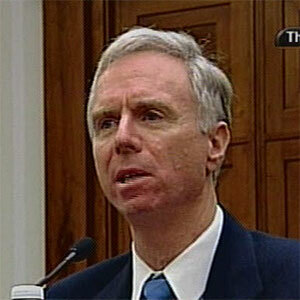 In 1986 he graduated first in Operations Research at the United States Military Academy (USMA). His previous positions at the Pentagon include Division Chief of Program Development, Army G-8, Program Analysis and Evaluation; Division Chief of Manpower and Forces Analysis, Army G-8; Senior Analyst, Projection Forces, OSD Program Analysis and Evaluation; and Branch Chief and Force Structure Analyst, Army G-1. He has also been a Research Staff Member at the Institute for Defense Analysis; Military Deputy for Army Materiel Systems Analysis Activity at Aberdeen Proving Ground; Director of the NATO ISAF Afghanistan Assessment Group in Kabul Afghanistan; and an Assistant Professor and Instructor in the Department of Mathematical Sciences at USMA, West Point. He is a retired Army Colonel with over 29 years of active service, including experience as an infantry officer and paratrooper, with service in Desert Storm. He has received a number of awards and decorations, including the ORSA Military Application Section Award for the top cadet in Operations Research at USMA; Outstanding Strategic Research Paper, US Army War College; Defense Superior Service Medal; Legion of Merit, (with 3 Oak Leaf clusters); Bronze Star; Combat Infantryman’s Badge; Ranger Tab; and Master Parachutist Badge.